Scott Stewart always knew he had a great derby horse when Tradition came to his barn two years ago. He just had to convince Liza Boyd that. “He’s quite a nice junior hunter, but he’s also an exceptional derby horse, and Scott told me that for a long time before I even looked at the horse,” said Boyd. Boyd started riding the 9-year-old Westphalian (Cornet’s Stern—Larix) in the fall of 2017, and Tradition did his first derby in August 2018 at Blowing Rock Charity II (North Carolina). 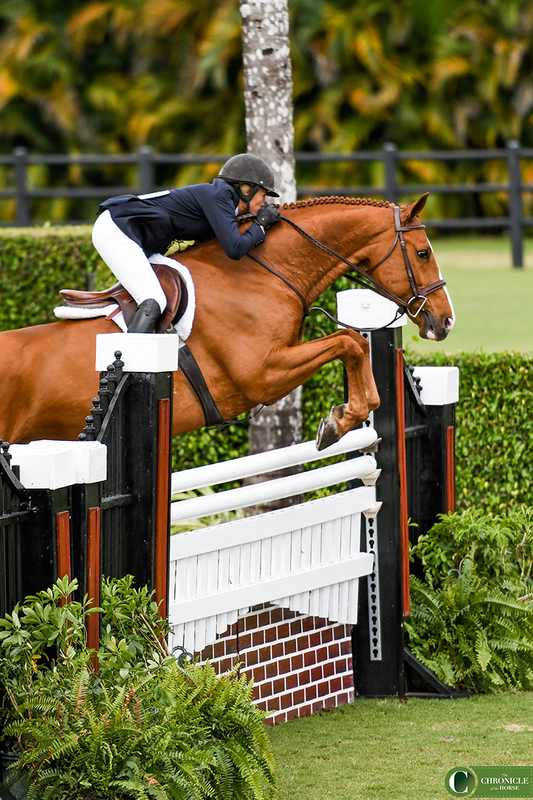 Two weeks later, in his second ever derby start, he finished third in the Platinum Performance USHJA International Hunter Derby Championship (Kentucky). 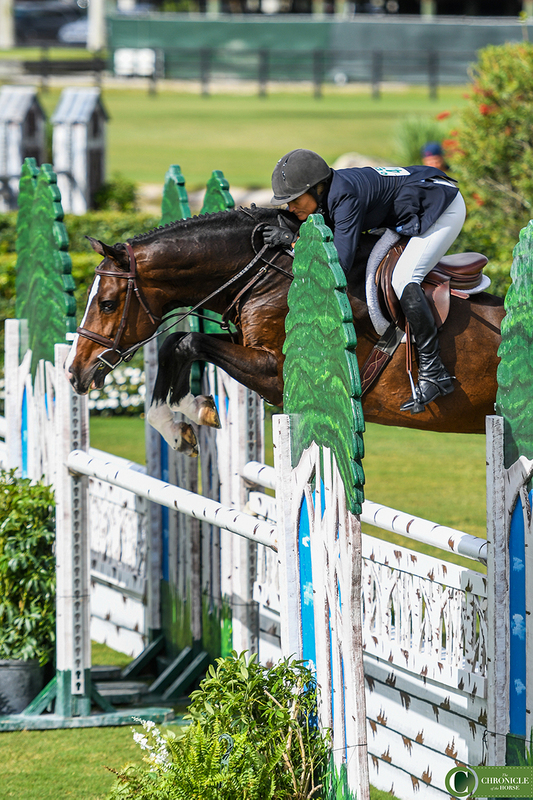 Once again the gelding owned by Maggie Hill proved he was everything Stewart said he was when Boyd rode him to victory in the $15,000 USHJA International Derby Hunt & Go. Tradition was the single ride for Liza Boyd. The pair scored an overall 357 points, a 16.5 margin over second-placed finishers Havens Schatt and Spectacular. Schatt also took third with Mostly Sunny. 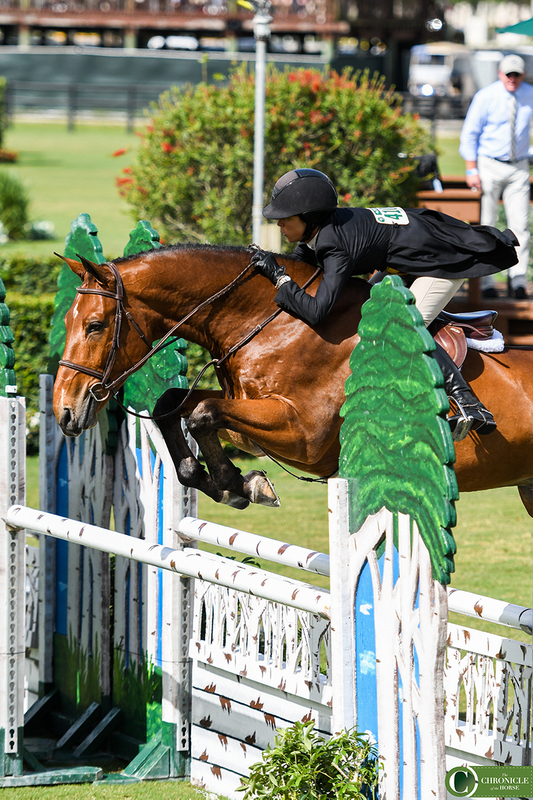 The Hunt & Go doubled as the perfect warm-up class for those looking to contest the $50,000 USHJA International Hunter Derby, held over two rounds on Saturday and Sunday. Havens Schatt and Spectacular were second best in the Hunt & Go. Finishing second wasn’t enough for Havens Schatt, who took third aboard Mostly Sunny.